Alpace Premium Stud Services from £450. We have four amazing prize winning studs, available in black and fawn. Mobile and drive by matings with our proven studs. Available in the Midlands and Nationally.Full live cria guarantee and remating if empty.Discounts available for multiple matings in one visit. Click on the above pictures for more details of our boys. 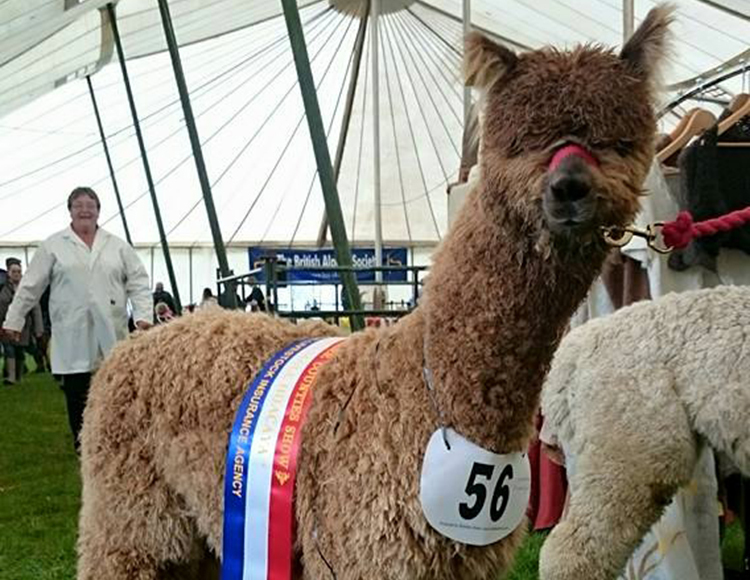 This dark fawn champion boy won 1st at the national show this year which added to his long list of show winning results. He has a dense fine fleece and a true to type head. This will be his first year studding and we are expecting amazing results. If you want to add some outstanding coloured genetics into your herd then this is the stud for you. Be one of the first to use this stunning boy - we will be using him for limited outside studding. This is Dark Knight our true black Stud. He is a well grown male with a extremely dense and fine fleece.He has a real presence in the field with his excellent conformation. He has a very friendly nature and this passes onto his prodigy. 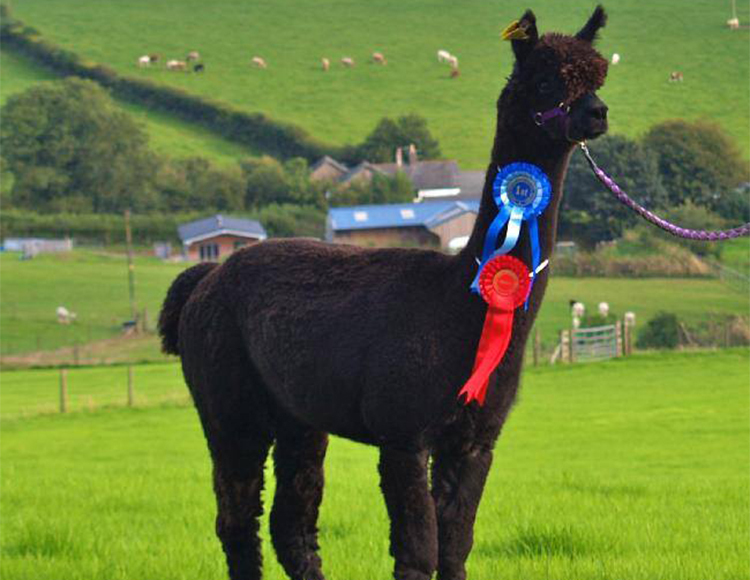 He has produced solid true black cria and this year is no different. He has won Champion black fleece and reserve champion male. He will add true black to your herd plus pass on genetics of his amazing solid black fleece. He can be used for on farm matings or drive by. Take a look at his show results.